Lifesize Record and Share, previously known as Lifesize Amplify, allows your organisation to change the way you capture, archive and share information being discussed everyday through one simple cloud solution. 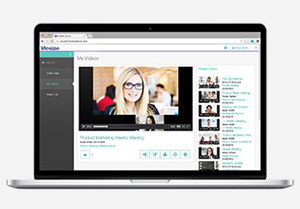 Simply click the record button and your video meetings, with audio and content, will be recorded straight into your personal video library, for managing, sharing and revisiting at any time. With secure encryption during recording, playback and at rest, the Lifesize Record and Share solution enables everyone to be in the conversation, no matter when it happens, professionally and securely. Lifesize Record and share lets everyone capture important meetings, events, ideas and remote conversations and instantly share them. Video’s are auto-published immediately, with everyone in the conversation having access to the corporate video library. Simple one-click-to-record from your Lifesize Cloud app on mobile, laptops, tablets or Lifesize Icon meeting room system, the Record and Share solution looks and functions the same across any device, with intuitive controls for individuals or groups and requiring no special training. With large intended audiences, where it is often that many cannot join the initial live discussion – being able to access this at a later time has become key to improving engagement of employees. 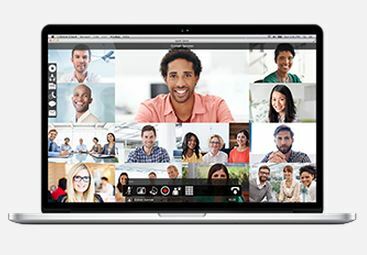 Whether running a project review meeting, legal testimonies, or running demonstrations, Lifesize Record and Share provides a professional recording and sharing solution for organisations of any size, to help teams be more productive and greatly improve collaboration across the workforce. The Lifesize Cloud Record and Share solution is also regularly used in Finance, both within organisations finance departments, and the wider financial industry, alongside legal teams, to keep records of specific meetings for future reference. Lifesize Record and Share provides every individual with Lifesize Cloud with their own personal video library, that are logically organised, but with the power for control and management to suit everyones taste, alongside commenting and flagging for later browsing. For video’s recorded by you, you decide who they are shared with, when and how, and administrators have the control to enable sharing inside or outside of the organisation, so depending on your policies, videos can simply be shared to partners, clients and customers as and when required. – Craig Malloy, Lifesize founder and CEO. If you want to experience the Lifesize Cloud features with Lifesize Record and Share, get in touch with VideoCentric, Lifesize’s UK Gold Partner, or start a free 14 day trial today. We can provide demonstrations, and trial equipment for your meeting room too, and discuss with you the services, comparisons and features in an unbiased environment, if you’d like. Need to integrate with Microsoft Skype for Business, Google or Outlook? 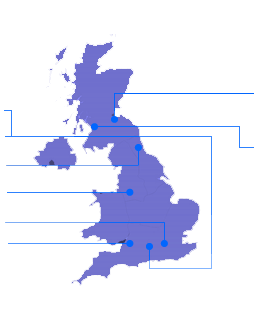 Or want to utilise your current equipment or expand your deployment? Have a chat with our consultants today to discuss your options and find out more.